— NASA's astronauts have a new chief. Peggy Whitson, who three years ago was named the 13th Chief of the Astronaut Office, making her the first woman to lead the U.S. Astronaut Corps, stepped down in July, a spokesman at NASA's Johnson Space Center in Houston confirmed to collectSPACE.com. Space shuttle veteran Robert Behnken, who most recently served as one of Whitson's deputies, has been named the new Chief Astronaut. The position, which was first created and held by Mercury astronaut Deke Slayton in 1962, oversees the activities of the astronaut corps including managing training programs, appointing technical assignments and choosing the crews for upcoming space missions. "The Chief of the Astronaut Office has an unenviable job – she or he has the power to make flight assignments as well as important career appointments, but each decision is guaranteed to make one or more astronauts unhappy," Michael Cassutt, co-author of Slayton's autobiography and a member of a 2011 National Academy of Sciences panel that reviewed the future direction of the Astronaut Office, said in an interview with collectSPACE. "Astronauts are intelligent, highly-skilled and motivated... who wants them to be grumpy?" Behnken has inherited the position at a time of transition for the astronaut corps, as NASA looks beyond its retired space shuttle program toward hiring U.S. companies to fly its crews on private spacecraft to the International Space Station (ISS). At the same time, the agency is working with its industry contractors to develop a heavy-lift rocket and space capsule to take Americans beyond Earth orbit to an asteroid and ultimately Mars. The Astronaut Office has 52 members at current who are either eligible for, already in training, or taking part in flight assignments. 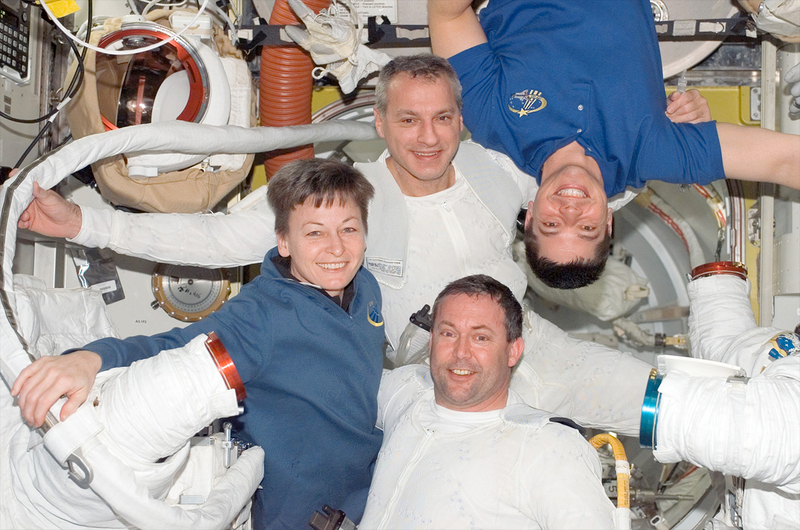 That count includes Whitson, who has now rejoined the ranks who are qualified to serve on board the space station. NASA is also in the process of reviewing applicants for a new group of between nine and 15 astronaut candidates, or "ascans," to form its 21st class of trainees since 1959. Behnken will now head that selection, which began under Whitson's lead last November and is scheduled conclude with the announcement of the new class members in May 2013. Whitson was announced as Chief Astronaut in September 2009 and took over responsibility from the out-going chief Steven Lindsey on Oct. 19 of that year. Lindsey, who had been head of the Astronaut Office since September 2006, then went on to command the final flight of space shuttle Discovery before retiring from NASA in July 2011. His departure was one of many as the 30-year shuttle program came to its end. "As chief astronaut, Whitson presided over a drastic down sizing of the astronaut office to reflect the shift from ISS and shuttle to ISS only," Cassutt said. "She did it quickly, she did it thoroughly, and she did it with a great deal of thought and planning." "She also made a convincing case for the selection of two new classes of astronaut candidates... all while her station crew members continued to perform spectacularly," said Cassutt. "I can't imagine anyone else doing that job that well at this particular time." Whitson wasn't just the first woman to be appointed chief, but also the first mission specialist to be chosen for the role. All of NASA's prior chief astronauts had been pilots, including first American in space Alan Shepard and Apollo moonwalker John Young, who held the title the longest. 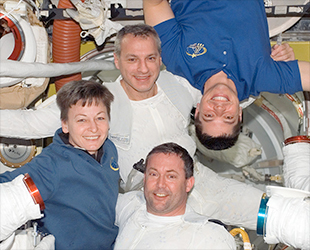 Before becoming the chief, Whitson flew two long-duration expeditions on board the space station. Logging more than a year in orbit over the course of the two flights, she holds the world record for the most time in space by a woman. 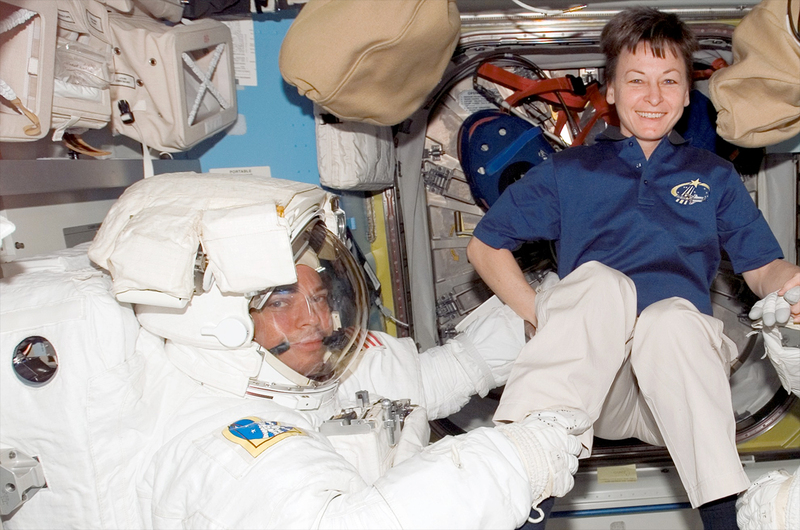 Whitson's 376 days, 17 hours and 22 minutes in space (to date) rank her 20th on the list of worldwide space travelers for time spent off the Earth. 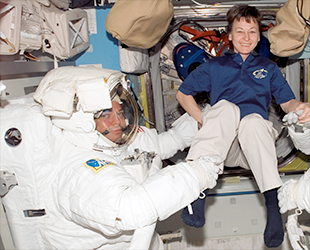 On her second stay aboard the orbiting laboratory in 2007, Whitson also became the first female commander of the International Space Station. 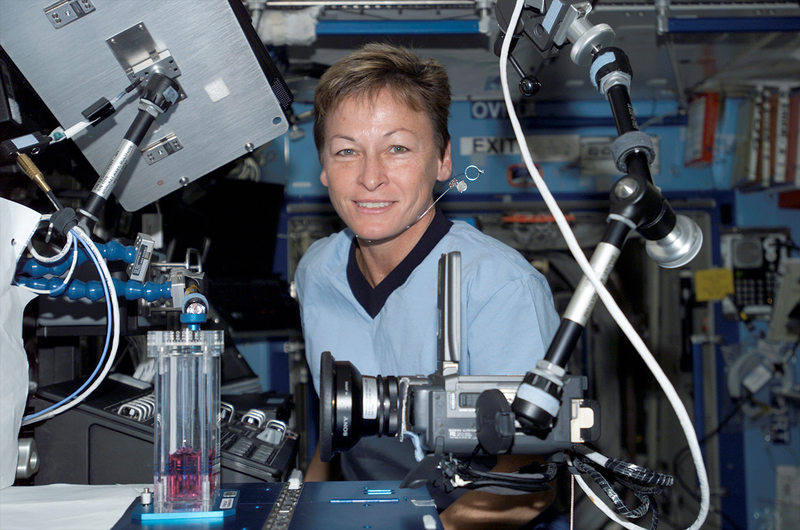 Whitson also set the records for the most spacewalks and most time spacewalking by a woman. 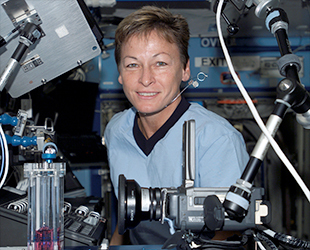 If Behnken assigns Whitson to another station expedition crew, she will become the first NASA astronaut to serve three times on board the orbiting complex. Only Russian cosmonauts have matched that feat, including Gennady Padalka and Yuri Malenchenko who are flying their third expedition in space now. 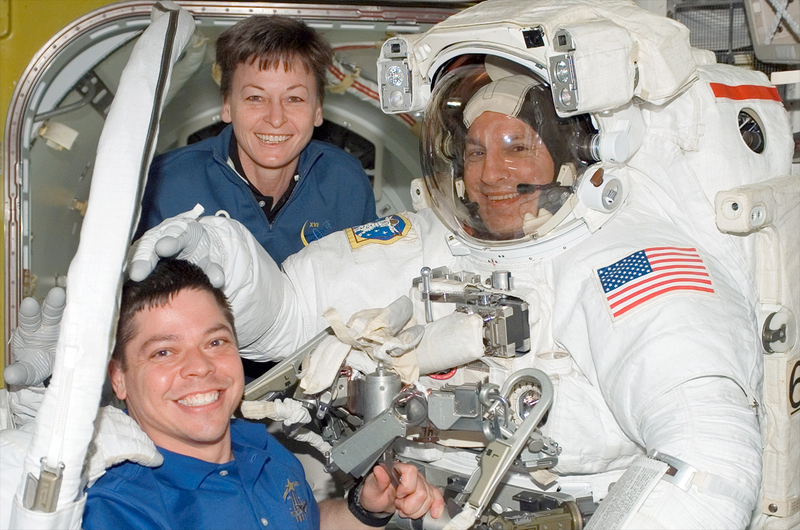 Like Whitson, Behnken flew as a mission specialist and a spacewalker, launching on board space shuttle Endeavour on two assembly flights to the International Space Station. During his first mission to the orbiting laboratory, Benhken had the chance to work with Whitson in space during her second expedition stay aboard the station. Behnken is the first Chief of the Astronaut Office who will have the potential to assign a family member to a mission crew. He is married to fellow astronaut Megan McArthur, who is still active in the corps. In addition to selecting crews, Behnken will be responsible for the mission preparation activities and on-orbit support of all International Space Station crews and their support personnel. He'll also continue the work begun by Whitson by organizing the crew interface support for future heavy launch and commercially-provided transport vehicles.